High above the ground this beach house cottage is secure from any rise in sea level and is now the restful retreat of a cultured couple. Above the existing bungalow a new first floor was added with their study and bedroom, and a captain’s deck aimed at the beach breakers view. The first floor additions are discrete and set back to maintain…. Sitting on top of stilts, this beach house cottage blends the old and the new seamlessley. 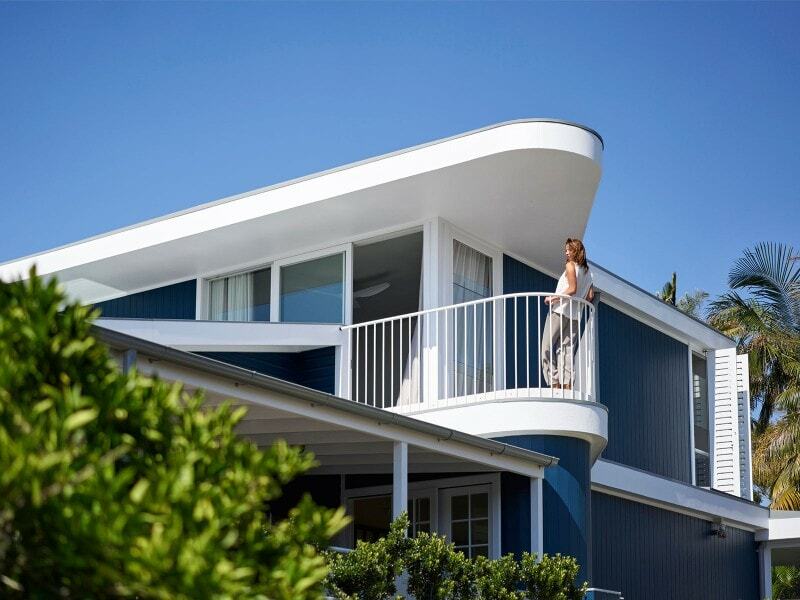 Contrasting ultramarine weatherboards, picket fence and balustrades, in painted stainless steel (due to the proximity to the ocean), wrap the exterior, respectfully addressing the street. Beneath the stilts that elevate the the building above the ground, a brass porthole window is installed in the garage door, an ode to the ships sailing the ocean nearby. 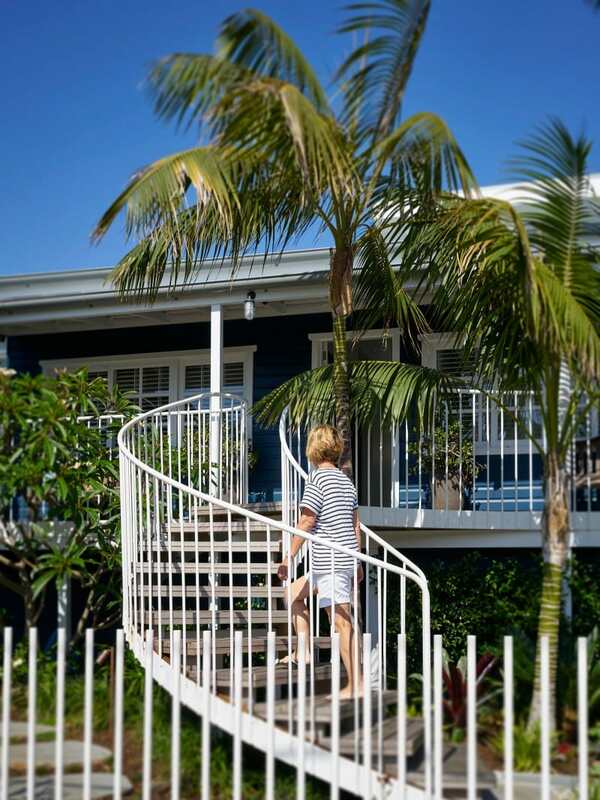 The elliptical steel entry steps spiral through the palms, light stained timber decking line the stair treads and the balustrade reflects the front white picket fence. A large solar panel array is hidden on top of the low pitched roof. Limed timber stair treads on the staircase, and matching limed original timber floorboards weave together consistently through the spaces as if they had always been there. 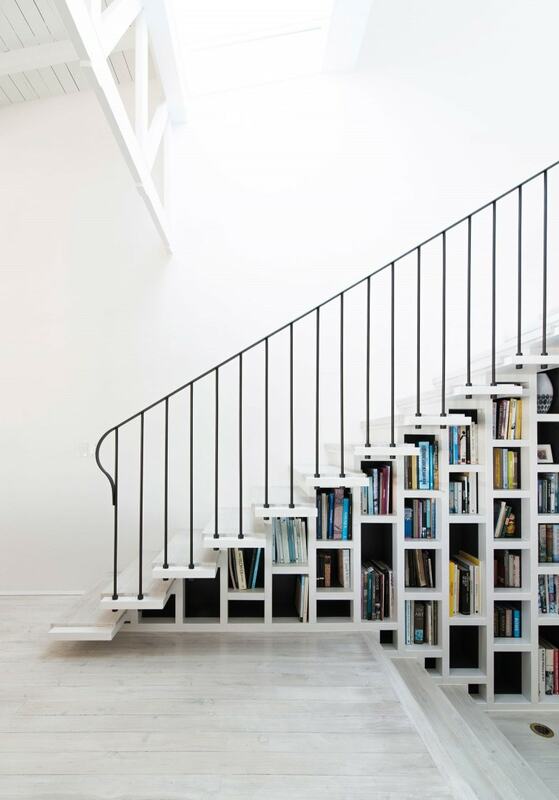 A book filled bookshelf is nestled between the studs of a wall supporting the staircase, and supposed by a delicately detailed balustrade over to allow the light through. Hanging above the island bench are a set of custom finish Louis Poulsen lights. 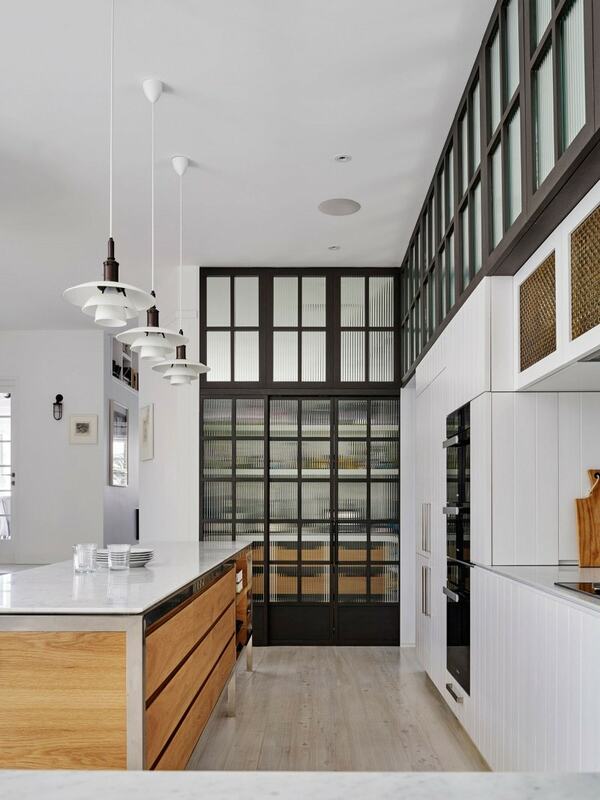 Steel and timber windows with broadline glass line the pantry and storage above the timber panneled kitchen joinery.